15" to 52" with 3 to 10 "double style hooks". 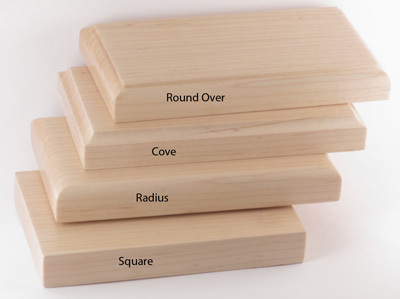 Select a 3.5 inch wide rail or a spectacular 4.5 inch X-wide solid hardwood rail. Beautifully made - builder installed my coat hook rack today and commented on how well made it was - particularly liked the hooks covering the screw holes. It looks terrific! Thank you. I wanted classic looking hooks for our kitchen entry and got the xwide white board with the double hook style. They not only look great but, more importantly, are super sturdy, which is key because we use them every day. All the details were thought of during construction and shipping to make hanging very easy as well, which was a huge plus! I don’t usually write product reviews but am happy to for this one. This is my second time ordering from Peg and Rail and the second time having a great experience. I recently moved and tried a variety of hooks from the big box stores around here and nothing comes close to the product I received from Peg and Rail. The service, ease of installation, quality and look are all exceptional. 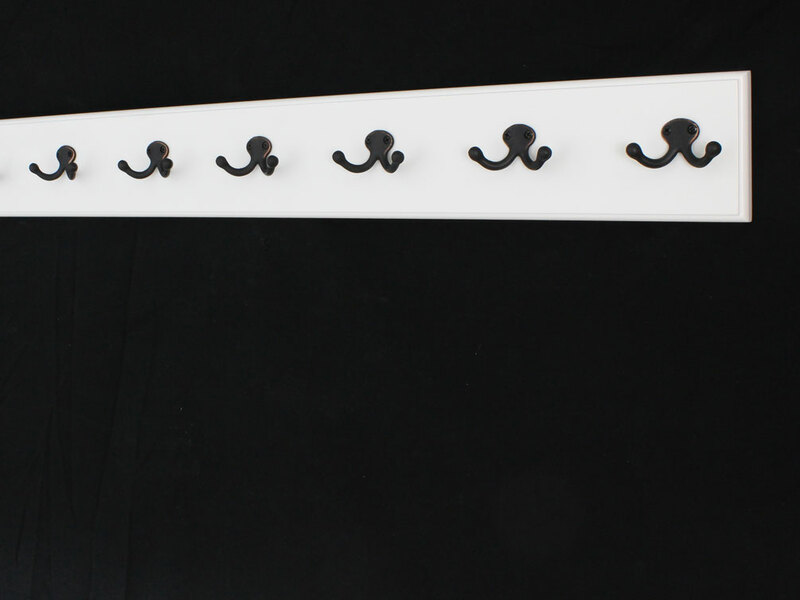 This is my second project, a white 20 x 3.5 rail with 4 double style hooks. The hardware quality is good — nice heft, nice luster (satin nickel finish) and looks good mounted on the rail. The hook dimensions work well in standard spacing (5.33 inch intervals). Mounted in a jiffy with hidden screws (counter sunk holes under two of the hooks) using threaded plastic wall anchors and #6 stainless screws. Very happy with the quality & workmanship. Even the packaging for shipment was carefully done. On line ordering was a breeze and quick delivery topped our every expectation. Use of the "coat rack" will serve its intended purpose (this winter) but likewise offered a linear solution to hanging ironed clothes within a tight space and best of all ... was made in the USA!! 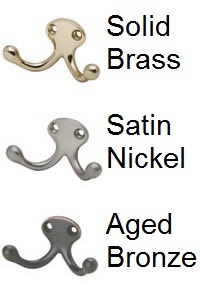 Q: I would like to order a 36" with a cove edge profile, but I only want to have 4 hooks on it is this possible? Yes we can make a 36" rail for you with just 4 hooks, I will need to know if you want the 3.4 or the 4.5 inch wide rail. I have emailed you the price quotes. Thank you for the question. 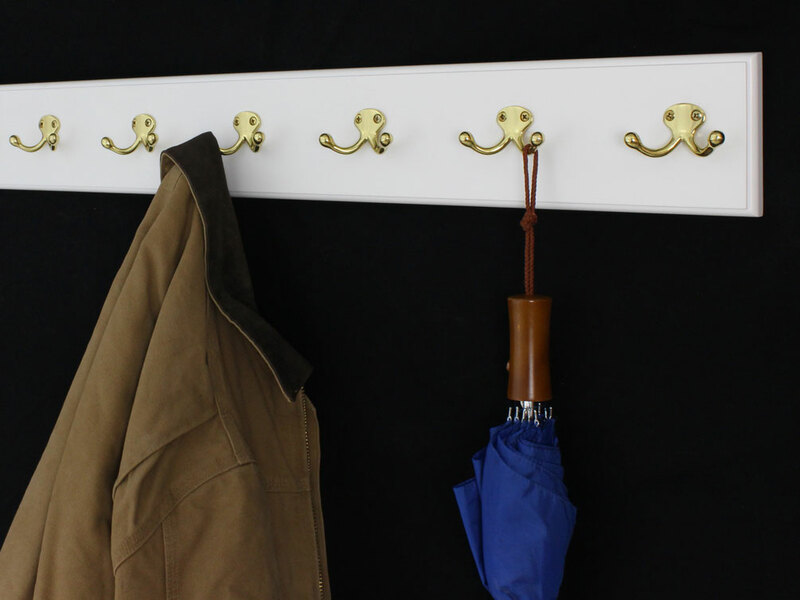 We would be happy to create a custom coat rack for you. 2 5 x 40 inch with 7 satin nickel double hooks is not a problem. You would be looking at about 4 Business days to manufacture plus in transit time for shipping. You may give us a call or I would be happy to set up a special online order page for you. It was the first day of elementary school and she was a brand new teacher. The first thing she noticed was how her students had to hang their coats on the backs of their desks. That just doesn’t work, she thought to herself. They always ended up getting trampled on the floor. She had a solution though because she already had one at home. 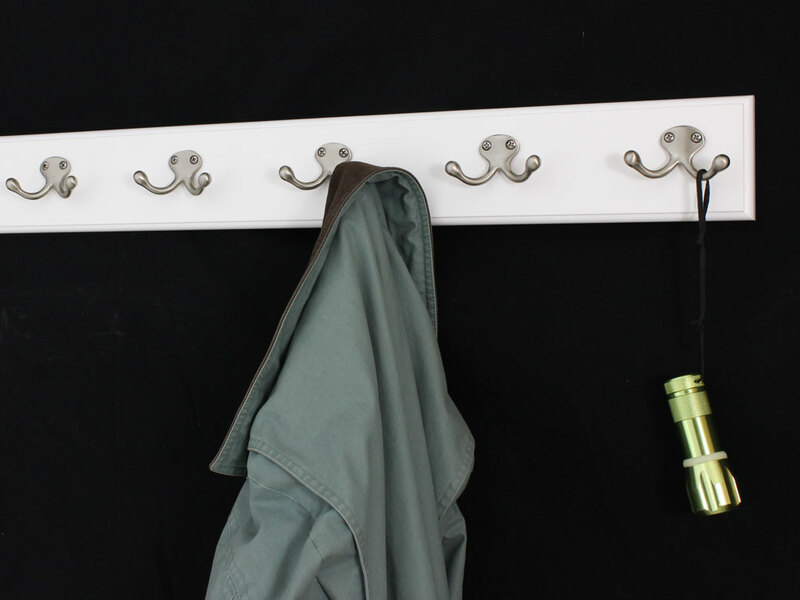 This fun white product would fit right in and give the all the kids someplace to hang their jackets. It would make her classroom so much neater! Since she had so many kids, she was thankful that there were many different sizes. Her kids were certainly happy too, and soon enough, they each had their own hook they used for their jackets instead of using the backs of their chairs.